As you could see on the Official Schedule of the Armchair BEA today is all about getting to know each other better. Since we cannot get together around some coffee and cookies at the BEA, it's time to chat virtually. Bloggers were paired up to interview each other, go and browse through their interviews, it's always nice getting to know more about the person behind the blog! 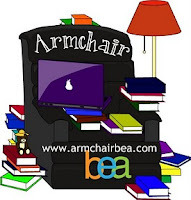 You can find the interview directory here at the site of the Armchair BEA. So grab your coffee and cookie and read more about your blogger friends. Winner of Pretties by Scott Westerfield! Armchair BEA: 222 Followers Giveaway! Can't go to BEA? Join the Armchair BEA! 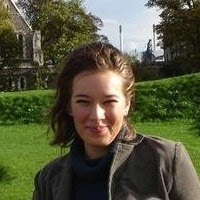 Ex Libris presents: Book Bloggers Anonymous! Wind Warrior Excerpt and Giveaway! Wanna be my Book Blogging Buddy? NEW ADDRESS FOR EX LIBRIS!